Six Flags Great Adventure's calendar of events for April 2015 includes a food truck festival, educational events in the Safari area, a dance competition, Fifth Harmony in concert and more! The theme park is operating daily for Spring Break from 10:30 a.m. to 8 p.m. The park’s MIKE AND IKE® concert series kicks off with chart-toppers Fifth Harmony and Trevor Moran on Saturday, April 11, presented by Z100. The group of five young women brought together by the reality show The X Factor has been touring the country and boasting record sales on their first full-length album. Show takes place in the Plymouth Rock Assurance® Arena at 4 p.m. and is free with Season Pass or theme park admission. 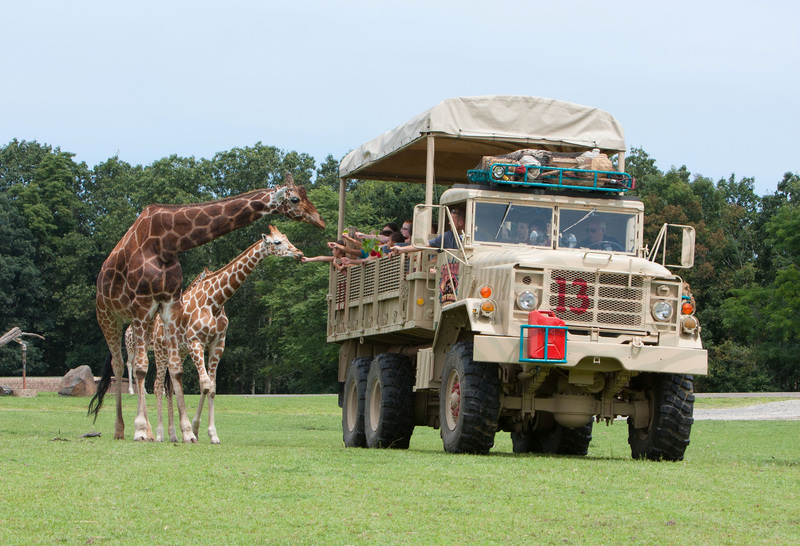 Incorporating the Safari Off Road Adventure, Six Flags takes students grades K-6 on a journey in learning with 1,200 animals from six continents through the 350-acre wildlife preserve lead by experienced tour guides. This program takes place when the theme park is not open and is limited to 400 students per day. Tickets are $20.99 + tax per person. Six Flags is proud to bring biology students up close and personal with 1,200 animals from six continents in the 350-acre wildlife preserve, and marine mammals such as California sea lions and Asian small-clawed otters in the theme park. Experienced safari tour guides and marine mammal experts lead the day. This event takes place on exclusive education days when the theme park is only open for schools/educational groups. At this delicious festival, guests can enjoy a variety of cuisines ranging from barbecue and tacos to hibachi and sliders, plus sweets including gourmet waffles and cupcakes. More than 20 trucks will be available from 12 to 7 p.m., and six award-winning New Jersey wineries will also be on hand from 1 to 6 p.m. for sampling and wine purchases. The festival is included with theme park admission; wine sampling and food requires an additional fee. Tickets may be purchased online with the promo code TRUCK.